Toronto, ON – Plug’n Drive is proud to announce that the Electric Vehicle Discovery Centre has been selected as Canada’s best 2019 Top Project as decided by the Clean50 community. 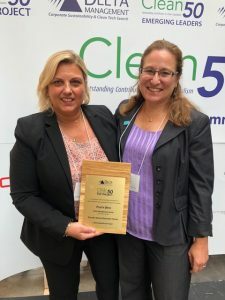 The award was accepted by Plug’n Drive’s President and CEO, Cara Clairman and Chief Operating Officer, Dav Cvitkovic, on September 27, 2018 in Toronto. In April 2017, Plug’n Drive opened the Electric Vehicle Discovery Centre (EVDC). The EVDC is a brand-neutral experiential learning facility dedicated to electric vehicle (EV) education and awareness. The EVDC is the first facility of its kind in the world and the only one in Canada that is focused on EV education and awareness. At the EVDC, members of the public are invited to learn about EV technology and take test drives in a wide variety of EV makes and models from leading manufacturers. Visitors to the EVDC can learn about the difference between fully electric and plug-in hybrid electric cars, the environmental and economic benefits of electric transportation and the availability of home and public charging stations. This year’s Project winners were drawn from a robust list of nominees for demonstrating outstanding environmental leadership. All projects were selected for their innovation and their ability to inform and inspire other Canadians to take environmental action. Plug’n Drive’s project leader, Dav Cvitkovic, Chief Operating Officer, demonstrated the drive and determination to help Plug’n Drive make the EVDC a reality and to mark Canada’s leadership on the world stage for electrified transportation. 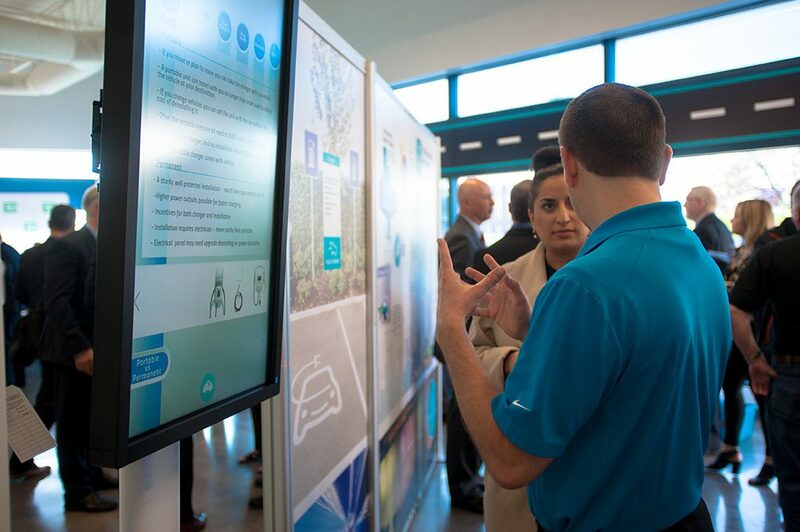 The end goal of the EVDC is to increase public awareness and understanding of EV Technology, drive EV sales and reduce greenhouse gas (GHG) emissions from the transportation sector. Plug’n Drive is a non-profit organization committed to accelerating the adoption of electric vehicles to maximize their environmental and economic benefits. Since 2011, Plug’n Drive has established as a trusted source of unbiased information on electric cars, charging stations and the electricity sector.